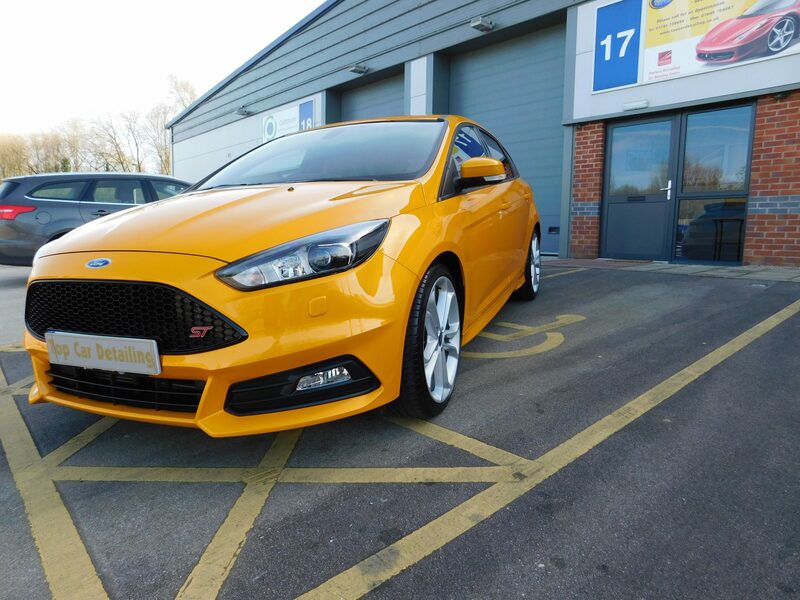 The Ford Focus ST came in for two stage paint correction detail to remove light swirl marks and holograms in the paintwork. The customer was also looking for long term protection for his car as well and decided to go for the Gtechniq crystal serum detailing package, this coating also comes with a 7-year manufacturer Guarantee. All the wheels were removed and coated in Gtechniq C5 wheel armour this product is great for protecting the surface from corrosion and road grime. We also treated the full interior of the car including the seating and carpets, all exterior glass was treated with Gtechniq smart glass. Take a look at the pictures and see the difference that this coating can make on your vehicle.